The stocks started to show a sign of consolidation after 3 weeks of declines. We are experiencing another market correction like the one we had in February. Please be aware this is not a bear market, this is a pullback that investors can take advantage of. A current market review suggests that the US stock market is still in Level 2 of a stock market cycle and thus, further gains are expected before we reach a peak. Everybody is freaking about inflation and this is the main reason why stock markets are correcting. In long-term (by this I mean at least 2 years) the inflation is certainly going to rise much higher because this how current US administration is functioning. However, we are going to need several more increases before it can move the entire stock market. The consumer confidence is strong, and with current inflation levels, corporate tax cuts and continuous job growth, the corporate earnings are going to be pleasing or better than expected. Thus, the real fundamentals of corporate satisfaction are going to be fulfilled, which will make good stocks to expand their value. The stock market review definitely sees an upswing potential still this year, however, in short-term investors should be very cautious. 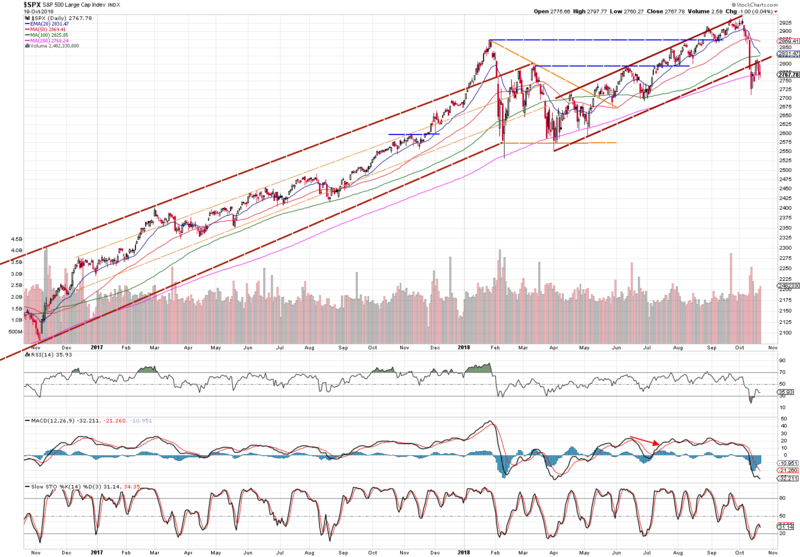 The indexes have landed around their long-term supports and even though they showed some signs of consolidation in recent trading days, they are likely to re-test the lows. 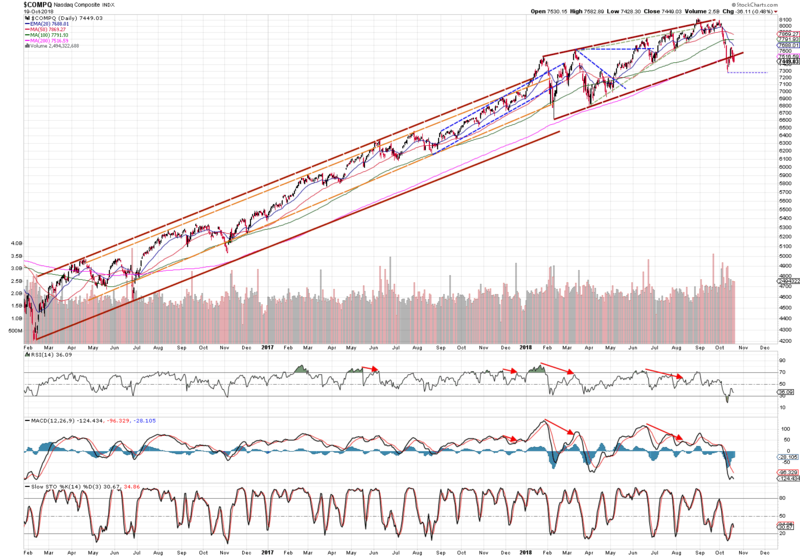 As the index failed to hold above 50 SMA, the price crashed down from the current trend channel. At the moment, it is sitting on 200 SMA. Nasdaq has become the worst performing index. It is sitting on 200 SMA at the moment, however, it may re-test its current support – see the purple dashed line. Google and Amazon are releasing their earnings results this week, which will be the most watched event on the financial market this month. What you have to check is how the market is going to react on following two trading days. 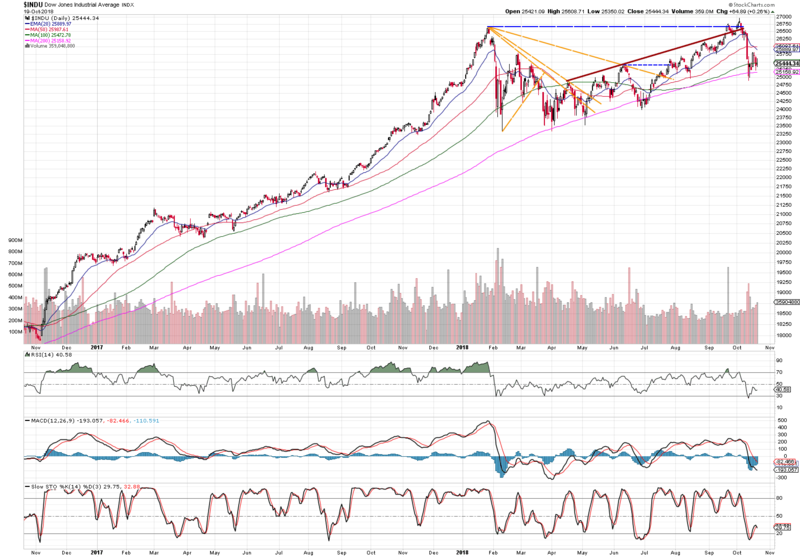 Dow Jones also hit 200 SMA, however, it is now attempting to require the support of 100 SMA. Industrials are showing great investment potential and we are looking for trends in this sector. We believe that the US stock market is going to be favorable to industrial industries under current political and economic conditions. The UK’s index hit also its long-term support. It is expected to slide this line before swinging up again. This week, the manufacturing PMI results will be announced on Wednesday and third-quarter GDP growth on Friday.